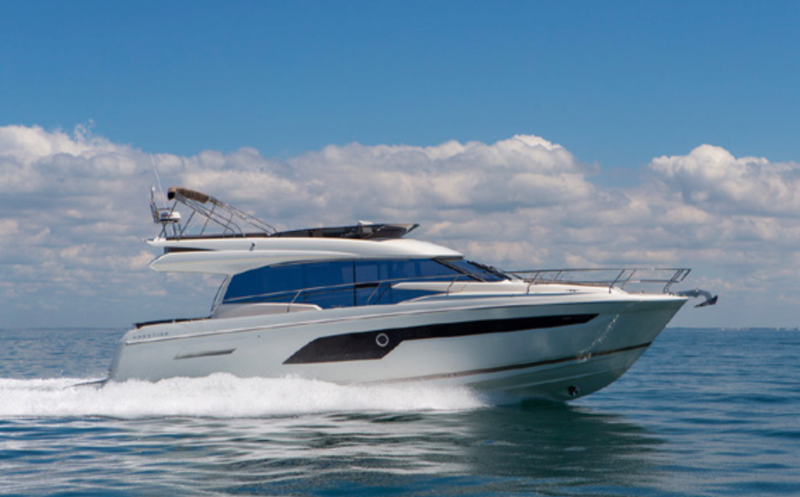 A new flybridge from Prestige will be making its debut at the Cannes Boat Show this September. Prestige has announced the introduction of six fresh models for 2018 – and chief among them will be a new flybridge cruiser, due for launch at the Cannes International Yachting Festival in September. 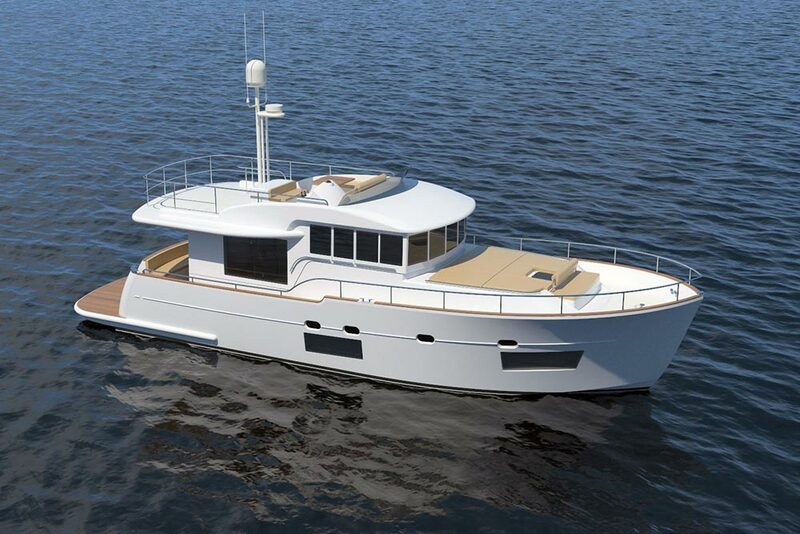 Designed as a replacement for the highly regarded 500, the new 520 is all about space, light and comfort – and by the standards of a 52-foot cruiser, the flydeck is certainly enormous. 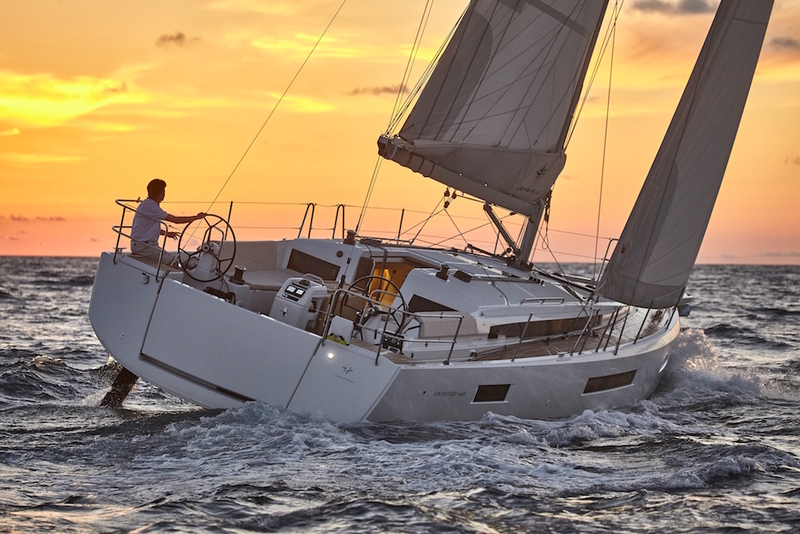 It comes with a two-man helm to port, plus an expansive forward sunbathing platform and an aft dining station with full galley facilities. 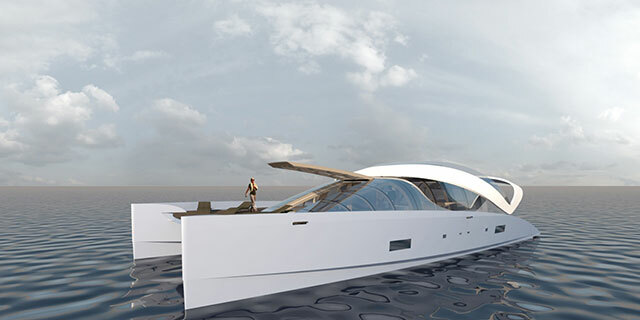 And further forward, the foredeck works hard to supplement these alfresco features with a pair of adjustable sun loungers beneath an overhead sun canopy. In the saloon, the Skipper is surrounded by communal settees, which face one another across a fore-and-aft walkway that is slightly offset to starboard. The galley is a step down at the aft end of the saloon, at the same level as the aft cockpit, where a modular bench is able to pivot for better integration with the saloon. 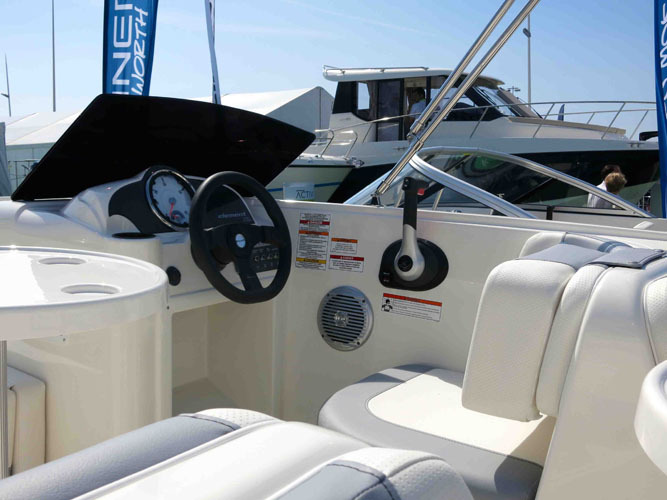 The new Prestige 520 will make its debut this Autumn in Cannes. At the starboard side of this galley section is a private stairwell that leads you down to a full-beam master suite, where long windows and generous standing headroom engender a powerful sense of space. The forward cabins meanwhile are accessed via a stairwell to port of the main deck helm and comprise a forward double, a twin to port and a shared heads and shower compartment to starboard. At the aft end, an oversized, hydraulically operated swim platform comes with a sizeable tender garage; and for the charter market, as well as for those who like to operate with a crew, there’s also room for a compact Skipper’s cabin at the aft end. 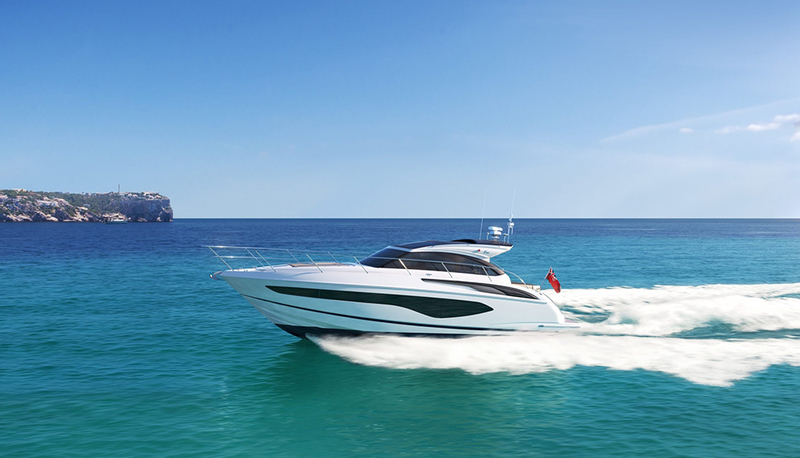 In terms of performance, Prestige expects the twin 435hp Volvo Penta IPS600 engines to generate a top end of around 26 knots and a comfortable cruising speed of around 20 to 22 knots. 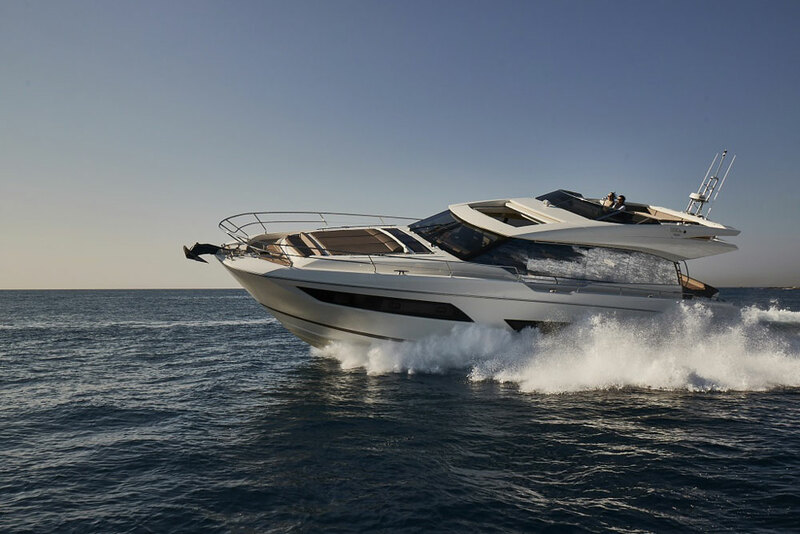 The new 520 will be joined by the smaller 460 at the Cannes Boat Show in September – but if you prefer sport to opulence, you should be aware that both yachts will also be available as Coupe rather than Flybridge models. See Prestige Yachts for more.